Barry finally learned how and why a version of him became Savitar on The Flash Season 3 Episode 21 "Cause and Effect." 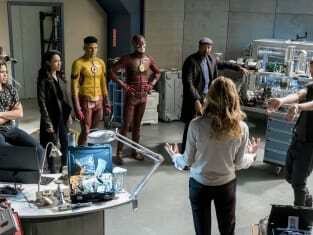 Unfortunately, despite Savitar-Barry's explanation, Cisco's diagrams, Julian's two cents, and Wally's keen questions, that explanation remains foggy. At this point, we're being asked to believe anything because Barry's messed with time one too many times. In a way, it makes sense. The rules of time travel might be different depending on what show we're watching or which book we're reading, but the basics remain the same. Time is fragile. One change to the timeline has long-lasting ripple effects. Barry's certainly made his share of changes to things. I've lost track of how many earths he's jumped to on The Flash Season 3 alone. So I can, and will, suspend disbelief and accept that Savitar came into existence due to Barry's manipulations. And I'll take it a step further and accept that he can't kill him because he would still exist somehow. But I'm still confused as to why Savitar-Barry needs to kill Iris. I assume it's a complicated circle of cause and effect. And if I think about it for too long, my head hurts. I don't like when The Flash, or any other form of entertainment, makes my head hurt. I shouldn't need a white board to connect the dots on how a superhero show works. Frustration aside, I did like the underlying message of the Barry amnesia story. Joe: I haven't seen him this happy in a long time. Iris: Try ever. It's the first time he hasn't been weighed down by the tragedies of his past, you know? First time he's actually been free of them. Joe: You don't want his memory restored, do you? Iris: Dad, I can't say that seeing him happy and light isn't something that I have wished for him because yeah, it is. The Barry we know and love has dealt with his fair share of pain and heartbreak. He does let it weigh him down. He feels the responsibility of his city, his friends, his family, and everything else. Thanks to Cisco's botched brain experiment, we watched a different Barry, one who preferred to be called "Bart" emerge. This Barry smiled more. He flirted. He had fun. I can't blame Iris for wanting to keep him around. Not for herself, but because she loves Barry so much she wanted him to have a break from the pain. She wanted him to have a chance to be happy. But, if it lasted, who would save the city? While Savitar losing his powers and memory were somewhat expected, it didn't occur to me that Wally would lose his, too. And does that mean Jesse was suddenly powerless on the earth she's protecting? 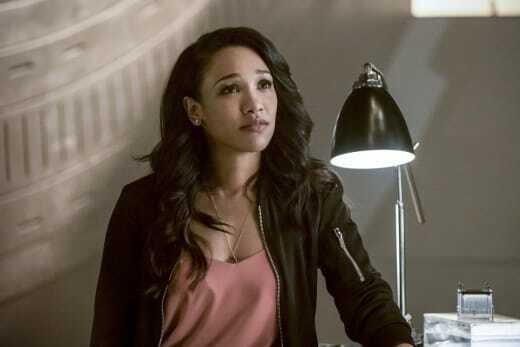 The twist left the team, particularly Iris, with a dilemma: try and get Barry back or let him be? 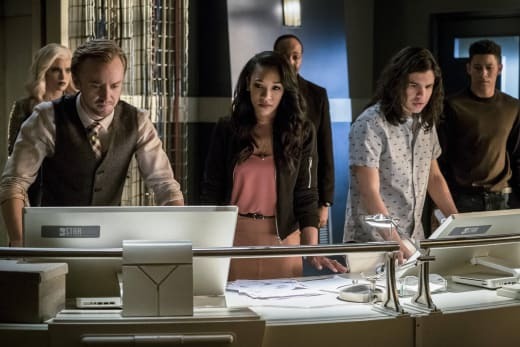 Most of Team Flash fell in the first category, but Iris was the one who spent the most time with "Bart". She walked him through their memories. The good ones. The ones of Barry's nerdy high school days. She showed him their loft. Painted a picture of a life they could have without mentioning The Flash or her looming potential death. Who wouldn't want to focus solely on the good stuff? I think we've all had at least one time in our lives where we wouldn't have minded a full reset. Of course it couldn't, and shouldn't last. We're all made up of our experiences, the good and the bad, and Iris helped Barry recover in the end. It sucked that she had to literally walk him through his mother's death to do so. But that's the life of Barry Allen. It's a mixture of pain and love. Hi, I'm Barry Allen. You can call me Bart. Permalink: Hi, I'm Barry Allen. You can call me Bart. I love how much fun Grant Gustin clearly had with amnesia Barry, better known as Bart. 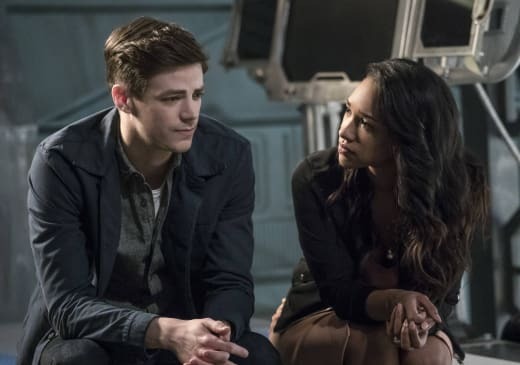 After playing two different versions of future Barry, both miserable, and present Barry worrying about Iris, Gustin must have relished letting loose. I'm not sure what was funnier: Bart thinking the team wanted to steal his kidneys or his attempt to explain fire in court. Not to mention his reaction to discovering his speed. How great was it to see Barry running for the fun of it? On the other hand, as entertaining as the amnesia plot was, it didn't exactly drive the story forward. And considering how there are only two episodes remaining on The Flash Season 3, did we really need to devote so much time to a funny plot? Aside from the confusing Savitar-Barry conversation, and the King Shark reveal at the end, "Cause and Effect" displayed no forward momentum. There's no excuse for that so late in the game. I suppose, if we're being generous, we could say there was some movement in Caitlin's story. She returned to help, for her own interests, and Cisco attempted to remind her she belonged with the team. It seemed to work. Just as Julian's declaration of love worked as well. 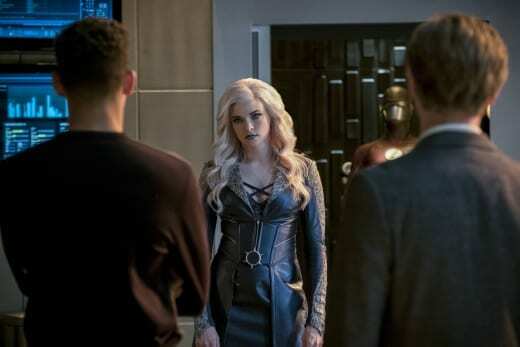 Even if Killer Frost pretended it didn't, we glimpsed a tiny piece of Caitlin breaking through the facade once she fled the scene. That's a good sign. I'm still holding out hope for a Caitlin/Frost hybrid to emerge. One that doesn't have the "Killer" moniker. 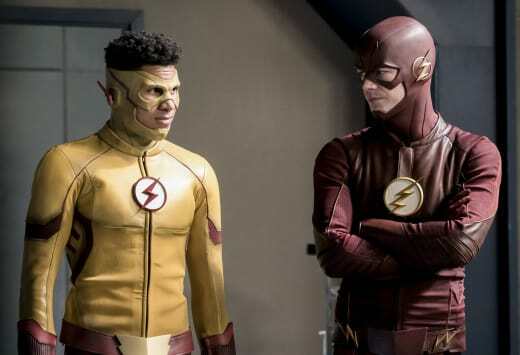 All right, Flash Fanatics, tell us what you thought of "Cause and Effect!" Are you tired of the confusing time travel rules being changed? Did Barry's transition to Bart amuse you or feel too much like filler? 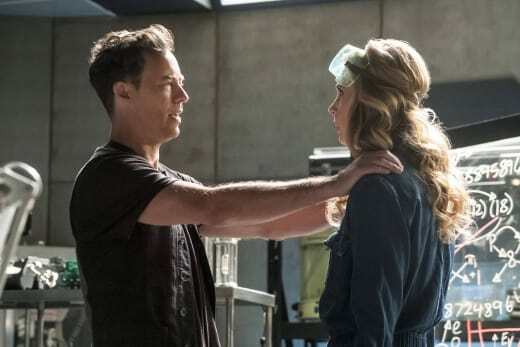 Will Caitlin be saved? Did Iris make the right call? It's all coming together! [pauses] In the worst way. Permalink: It's all coming together! In the worst way. Savitar Barry: [to Barry]: I forgot to tell you. My suit's cooler than yours. Permalink: I forgot to tell you. My suit's cooler than yours. 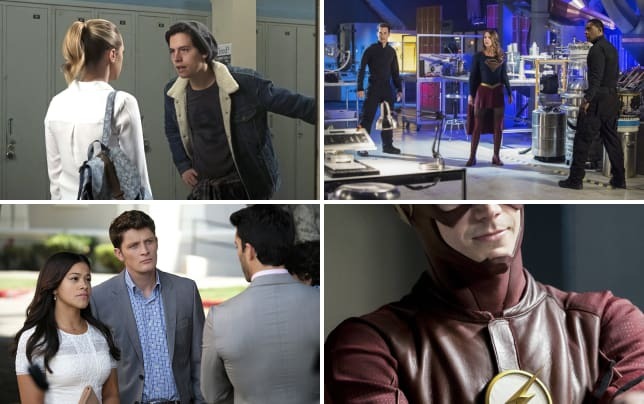 The Flash Promo: Can [SPOILER] Help Barry Defeat Savitar?